I have a friend, H, who I have baking sessions with every couple of months. She scours Pinterest for recipes that she wants to try and we get together and try them out. 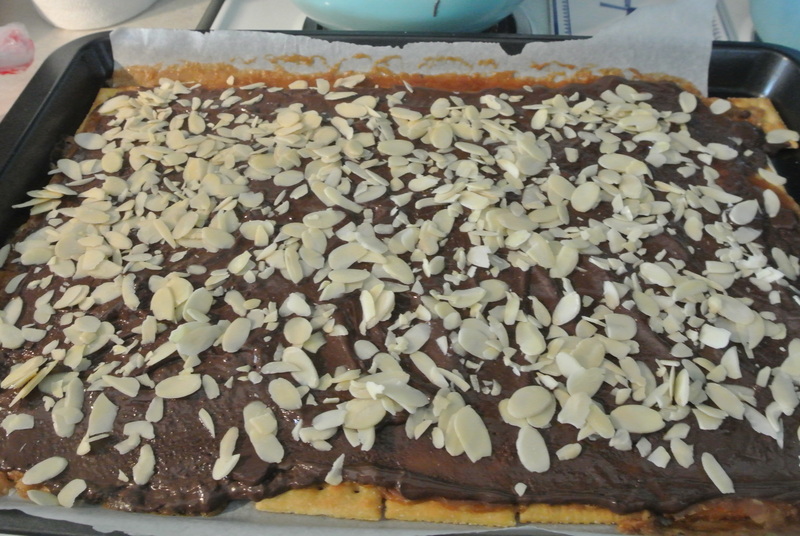 So a couple of Sundays ago she came over with a recipe that had five simple ingredients: saltines, butter, brown sugar, chocolate chips and almonds (optional). 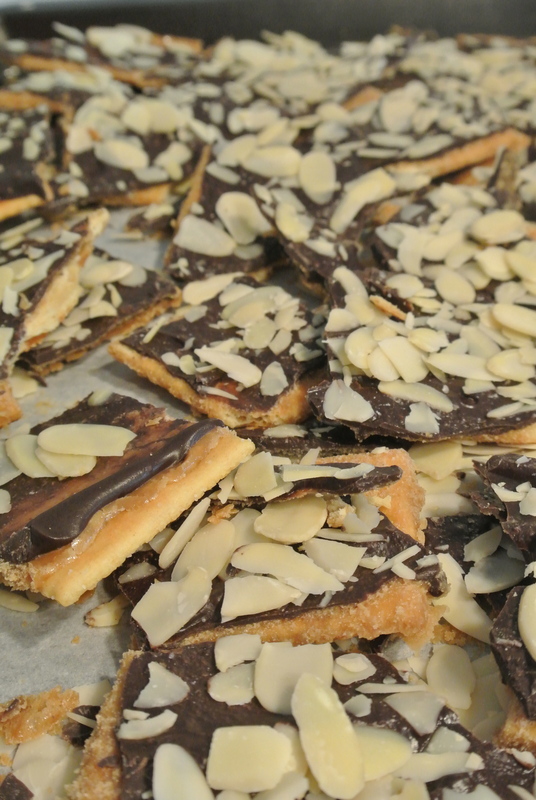 It was called Saltine Toffee Brittle (or crackle). It was so simple to make. 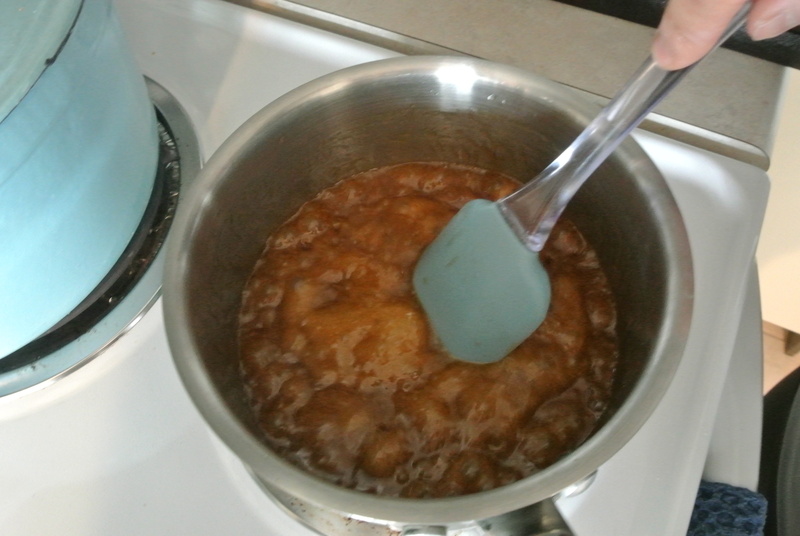 The most time consuming was the caramel which is just melting butter and brown sugar in a saucepan and boiling it until it thickened. You then pour it over the sheet of saltines, pop it in the oven for five minutes. 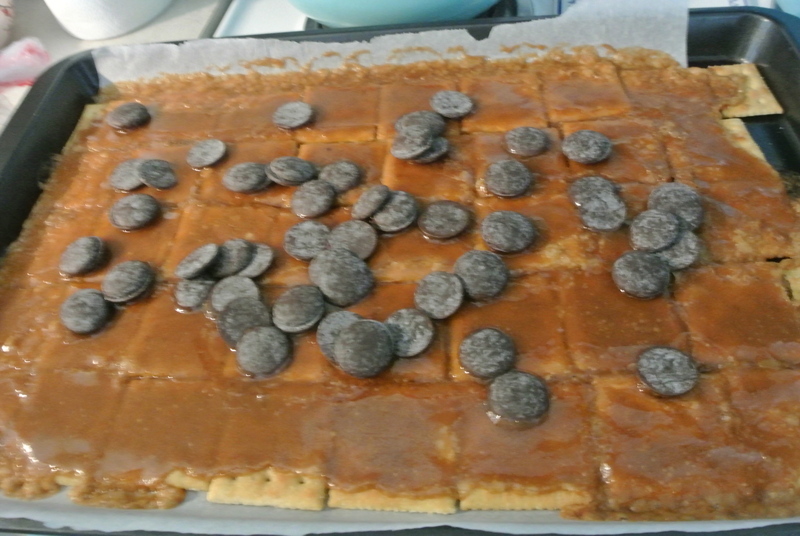 Once you take it out, while its still hot you sprinkle the top with the chocolate chips and wait a few minutes for them to melt and then take a spatula and spread it over the caramel and saltines. As an option, you can add nuts for added flavour and texture – I chose sliced almonds since I had them in my pantry! 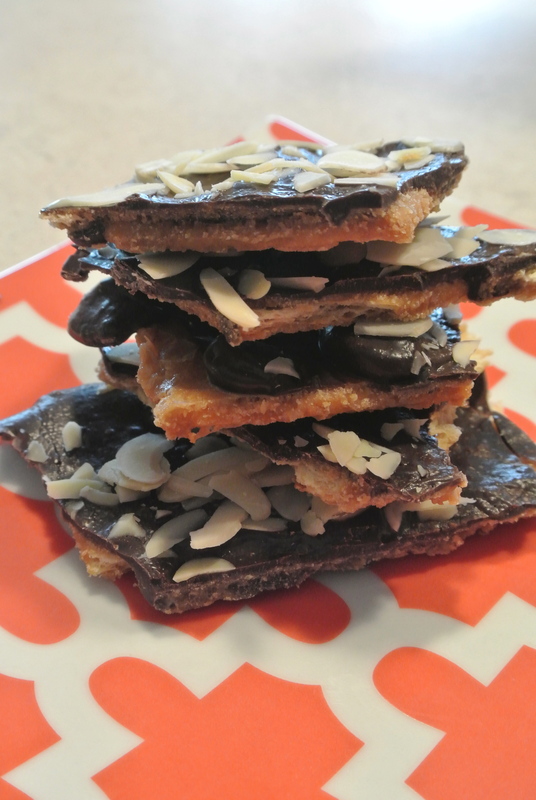 I wasn’t sure how these were going to turn out since I couldn’t picture using saltines in a sweet recipe but when I took a bite into the brittle it completely reminded of biting into a Skor bar! It was that good! Try it out! 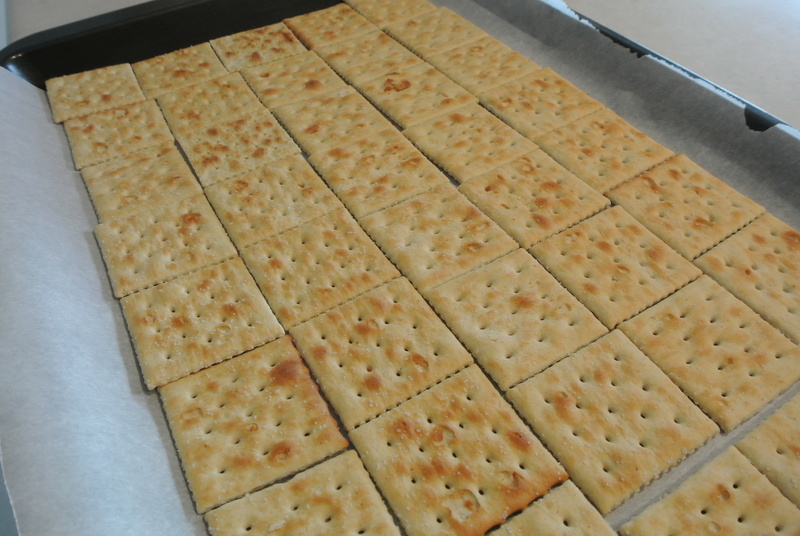 Laying out the saltines on a baking sheet. Making caramel with butter and brown sugar. 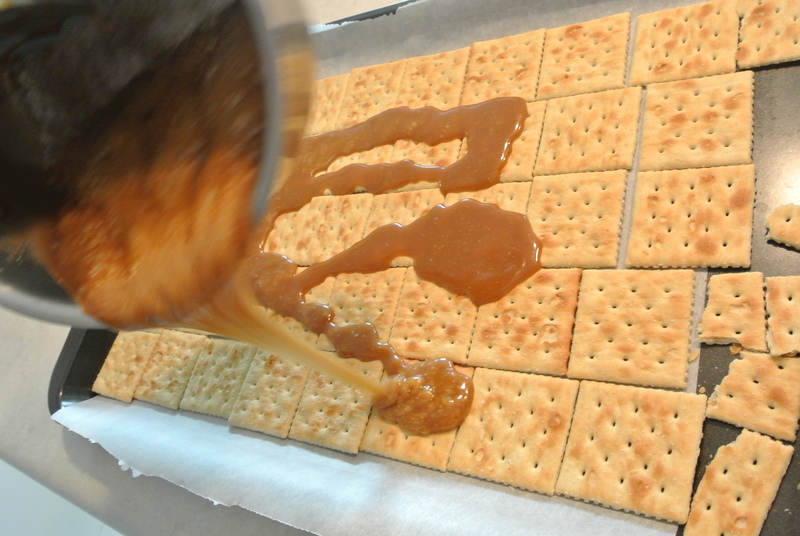 Pouring the toffee over the saltines. 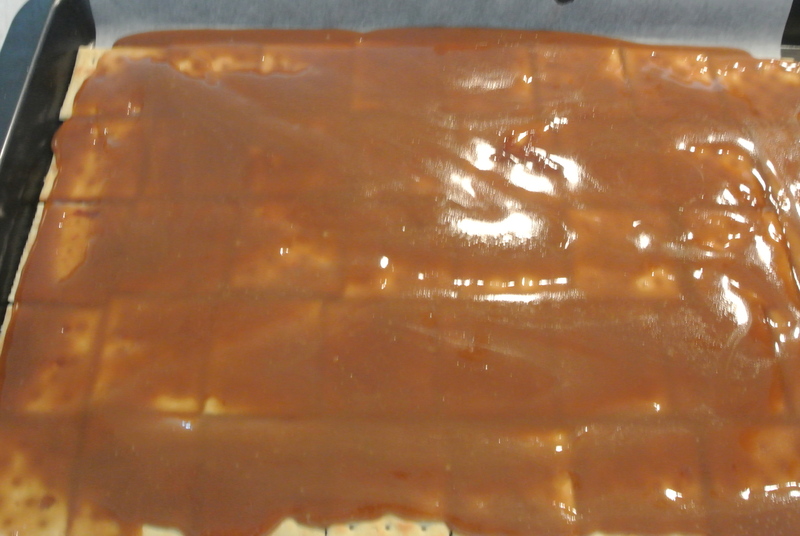 After baking the saltines and caramel in the oven for 5 minutes, I sprinkle the chocolate chips/wafers and let it sit until they begin to melt. 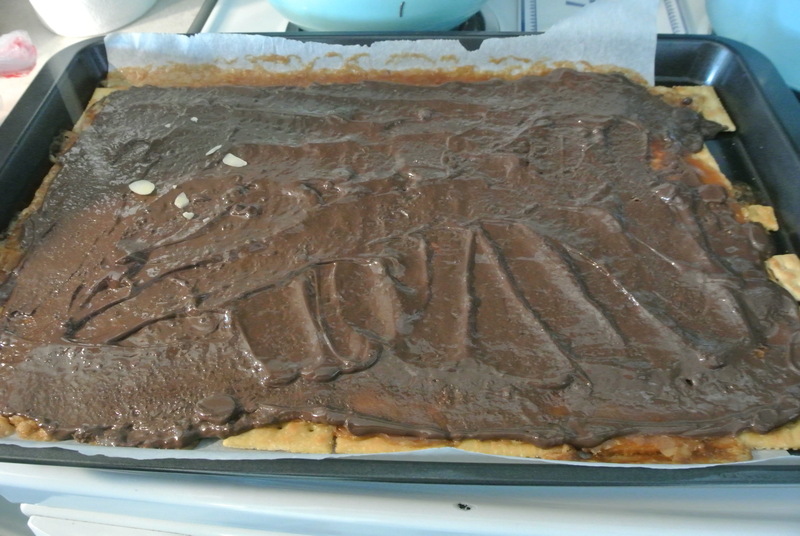 Adding the almonds while the chocolate is still warm so it sticks. Once cooled, you can the break them into pieces. oh yes, i loooove this stuff.